Where precision sound meets iconic design. 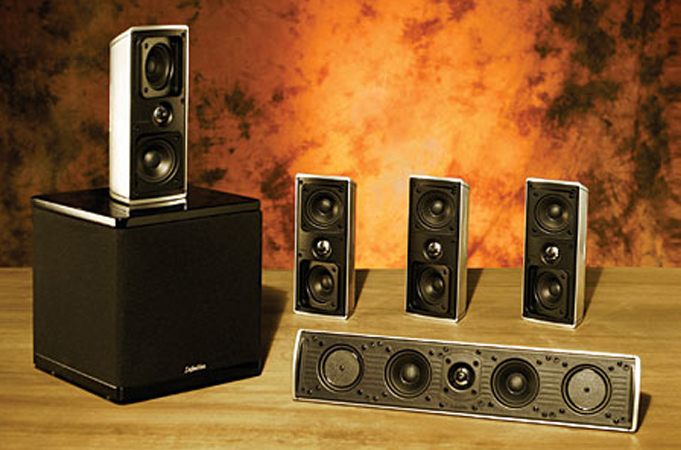 Definitive Technology is one of the best-selling brand of audiophile grade loudspeakers in the USA. Audio critics and consumers alike praise Definitive loudspeakers for their superior materials, precise workmanship and uncompromising sound quality. Definitive was founded by and is managed today by audiophiles and music enthusiasts for whom achieving audio perfection is a lifetime goal. At Definitive Technology they value technology and beauty equally. Hear for yourself why Definitive Technology sounds so good.